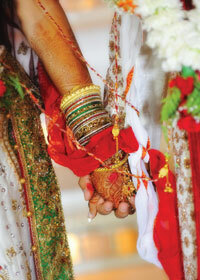 The MyShadi Bridal Expo in Atlanta is well on its way to becoming a unique and hands-on experience for all attendees. For the first time ever at this year’s Expo, mehndi and make-up artists will be doing live demonstrations to give brides ideas of looks for their wedding day. These live demonstrations will occur once an hour and are truly a unique way for brides to get excited about their special day. Brides and their families can enter raffles for fabulous prizes, including a free honeymoon trip to India, provided by Platinum Sponsor Qatar Airways. MyShadi Bridal Expo welcomes the opportunity to work with Platinum Sponsors Crowne Plaza Ravinia, Occasions by Shangri-la, TV Asia, and Qatar Airways. A unique combination of rich customs, exquisite culture and handmade beauty will be presented. Contact Mehr n’ Nisa at (404) 275-3628. Bindu Malbari, owner and primary artist, serves the metro-Atlanta, and specializes in intricate, one of a kind, themed henna art for various occasions. Contact Elegant Henna at (678) 978-6661 or visitwww.ElegantHenna.net. 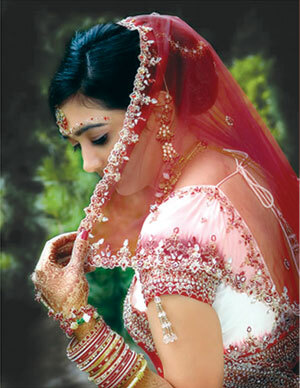 SOVI also provides services for bridal makeup, hair, and facials. Be So Fresh, Be So Beautiful, Be SOVI. Contact Sovi Salon at (770) 442 – SOVI (7684). Once just her passion, making brides feel and look beautiful is now her profession. 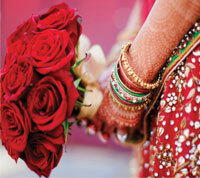 Aarti Amin artistic and creative side helps her to specialize in bridal henna, hair, and makeup. Contact Aarti Amin at (678) 717-7303 or visit www.aartiamin.com. Manufacturers and exporters for the past 40 years, Queenie Indian Couture can accommodate custom orders professionally designed by a team of designers in India. A wide collection of bridesmaid and groomsmen attire is also available. Visit http://www.queeniee.com or call (678) 538-3000.